Recently I sat in a friend's car after it had just come back from the authorized service centre. The entire dashboard, including the top part, was shining. The service centre had applied some sort of polish all over the dash to beautify it. This is what they told my friend. As a result, it was sticky and the shine emanating from it made sure reflections radiated on the windscreen. Being aware that reflections that are thrown from the dash onto the windscreen disturb vision and can compromise safety, the manufacturer of the car had deliberately given the top part a 'matt finish' and a 'perforated surface' to prevent such reflections. But what does the service centre go and do - spoil all the good work of the manufacturer by applying polish to make the dash look beautiful and shiny. I have experienced this several times. Very often when a car comes from a dealer for a test, it will have polish all over the dashboard and sometimes even on the steering wheel. The authorized service centre likes everything in a car to be shiny. And by putting shine onto the top of the dash, they defeat the attempts of the manufacturer to prevent distracting reflections from being directed onto the windscreen. Getting the polish off or dulling the shine is not easy. Even after repeated attempts at cleaning, the shine refuses to go. 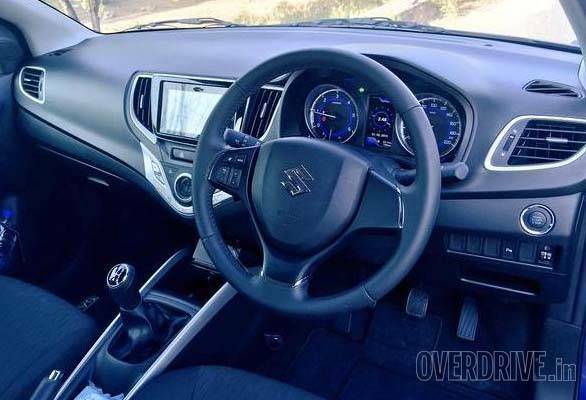 This is so irritating that, while asking for a car to test, I request the manufacturer to instruct the dealer not to polish the interior, especially the dash and steering - despite this cars often turn up with polished interiors. The resultant reflections are very irritating, and the shining but slippery steering is also a pain. As this polishing and shining of dashboards really gets my goat, I decided to find out if others feel the same. After speaking to about two dozen people, I find myself in a minority. It seems most Indians like shiny dashboards. But what about the reflections on the windscreen? Where, I don't see any, was the response of most people I spoke to. Really! How can people not notice the reflections? On looking at this more closely, I realized lots of us are ignorant about how visibility can be adversely affected by reflections on the windscreen. Why do I say this? Look around and you will find many people moving with all sorts of decorations and charms hanging from their rear-view mirrors. These obstruct vision and can cause distractions, but nobody seems to care or take notice of this. Then you have temples, or idols or photographs of various Gods kept on top of the dash. These also restrict vision and cause distracting reflections, but nobody seems to care. Look closely and you will observe people driving around with all sorts of objects kept on top of the dash which also cast a reflection on the windscreen, but nobody seems to notice this. Almost every cab driver has newspapers, notepads and so on kept on top of the dash. They result in reflections, and these objects also move around when the driver brakes or turns or accelerates suddenly. But they don't seem to get disturbed by this, which I find very strange. Look around and you will find people driving with dirty windscreens. Many cabs and commercial vehicles, especially trucks, have wipers missing with some not even having a single one. I hate driving a car with a dirty windscreen and detest reflections. I know these things are essential for better safety. But it appears that many of our fellow countrymen are not concerned and don't care about the view they have through the windscreen. Another thing I have noticed is that once it starts to get dark, people wait for the longest time before they switch on the lights of the vehicle. Why? I mean don't you want to see more clearly what lies ahead? And then you have these guys in rural areas, in particular, riding around wearing dark glasses even after dark. They don't seem to notice the sun is long gone and now those dark glasses are restricting their vision. I wonder when this will change. Will it ever change? Or are we always going to be a nation that gives a damn for safety. No wonder we have the highest road fatalities in the world. Bharat Mata Ki Jai.